Will debut at the 2016 Paris Motor Show. The 2017 Ssangyong Rexton was spotted testing in Korea, ahead of its confirmed debut at the 2016 Paris Motor Show in October. 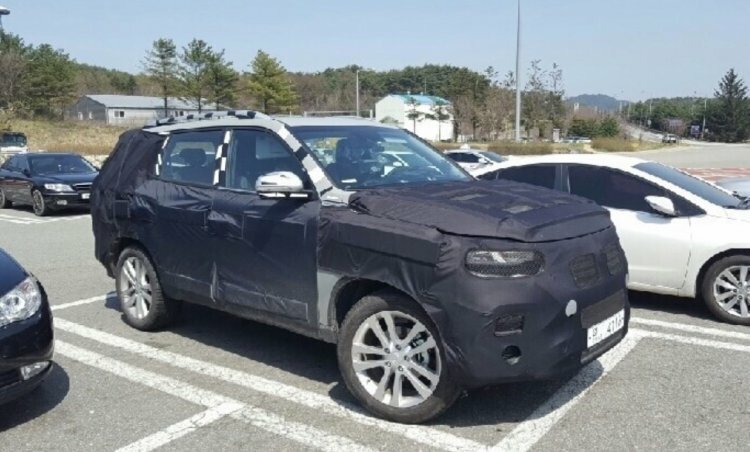 Codenamed ‘Ssangyong Y400’, the heavily clad prototype hides an exterior influenced by the Ssangyong LIV-1 concept. 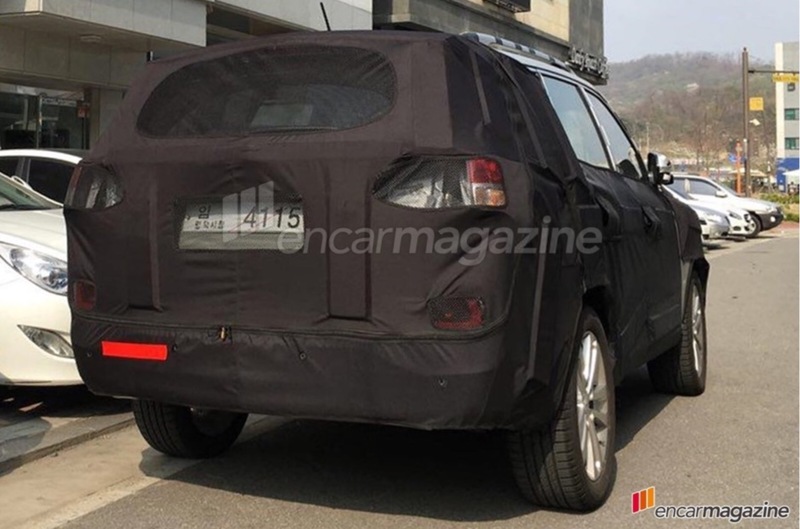 It will have a sloping roof line similar to the Tivoli, trademark squared line above the rear wheel arch seen in the LIV-1 concept is duplicated over the front wheel for tougher look. The interior of the next gen Rexton will be a massive step up with respect to build quality. It will have leather upholstery with wood-effect finishes and abundant chrome detailing. Reports suggest that the next Rexton will be festooned with buttons as well as a touchscreen system. It will continue offering a 7-seater option though. The 2017 Ssangyong Rexton will be based on a ladder-frame platform, and is claimed to be 50 kg lighter than the outgoing model. Power will come from a new 2.0-litre GDi turbocharged petrol engine paired to an 8-speed automatic gearbox. A diesel variant with a 178 PS 2.2-litre diesel from the outgoing model will be offered in markets where diesel SUVs are in demand.